How does he keep everything in focus!!! The AF-Continuous has gotta be fast!!! Great video, crazy set up. watching this I was thinking that I really couldn't wait for the new Nikon pocket wizards to come out but then I realized that you would actually have to have 8 receivers with that setup and you only need 2 with the poppers. I guess poppers do have an advantage. I wonder if you can have an SU-800 at the receiving end of the pocket wizard. Would that technique really provide images THAT shrap? I'm suprised! And I had ordered a set of RPpoppers and they came in strait out of the box broken, unable to fire anything. I have a set just like Dave's (1 trans, 2 receivers) that I never use for sale if anyone is interested. @Chris I don't think the SU-800 would work since it cannot receive IR signals but only output them. I just don't see the logic in this... That's over $4k for one light. Imagine all the AA batteries too! Jesus. It's hard enough keeping batteries charged for 3 flashes let alone 8. For less money you could get 1 or 2 Alien Bee Zeus 2500 bi-tube + power packs and gang them up in a similar fashion. Ultimately more light potential, and probably around the same effective WS at half or 1/3rd power for more shutter speed. Or for even more shutter speed get 3 or 4 Einstein 640s. You could run those at full power with good recycle times plugged into a SINGLE battery--Vagabond pack. Looking at the conditions he was shooting in and how close the lights were to the subject it's pretty clear that way less light was required than was on hand. Overcast conditions... 6-10 feet from the subject... even at small aperture settings he was probably only shooting 1/4-1/2 power to get more shutter speed and quicker refresh. There are a couple cool shots in there, don't get me wrong. All in all though, it just seemed like a ridiculous exercise to show how many flashes it takes to do something that is possible with a lot fewer lights... not to mention more affordably. @John, do Alien Bees allow you to shoot at 1/1000 or 1/8000? I thought the only way to do that was to have your flash act more like a constant light source which is what FP Sync mode does to your flash. I'm pretty sure the whole point of using this system is to shoot at shutter speeds past your camera's sync speed. If I were to do this with my dynalites, while much more powerful, I would have a huge black shutter halfway through my frame! Patrick, I'd be interested in buying your set of radiopoppers. How much are you asking for? I'm in Canada btw! Send me an email with the info. Its nice to see that the lights look like it was the sun that lit the riders. Good ambient mix. Does he throw all 32 batteries in the landfill when he is done? 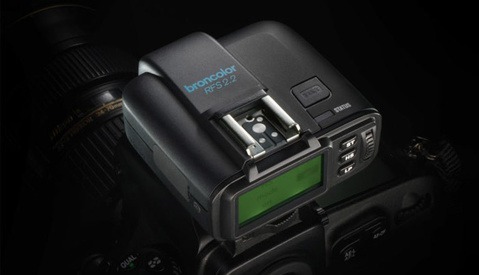 The most economic way would be to RENT a few Broncolor Head Flash with 1 or 2 battery pack. As I said in the surfing post a few days ago, you can achieve the same thing with older generation dedicated flashes and a long cord, just so long as they can high speed sync. 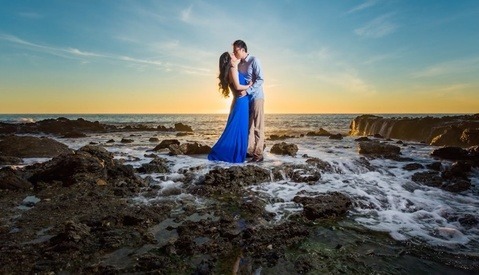 And high speed sync is the whole point to using Speedlights the way he is. I use Canon, I have six 550EX's (around $150 each) and can fire all of them with high speed sync at 1/8000 from 10 yards with a $40 ETTL cord. 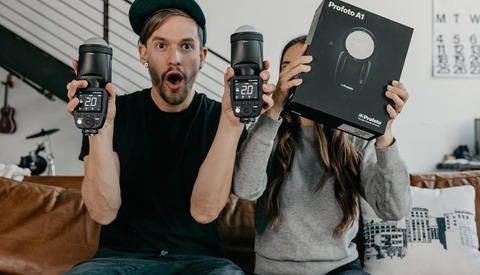 That is cheaper than a couple of weekends rent on Broncolor's with insurance, is way more practical, lighter and easier to move and direct as well. There is no other system that can do the same thing, let alone for the money. If your ambient registers a ghost image at 1/250 even the Broncolors are useless for achieving this particular style. Look at his ice hockey videos where he is using big lights at 1/250, he is getting ambient blur, with the high speed sync the subject is pin sharp. The fastest flash speeds mean nothing if you have to drag the shutter for 1/250. 32 packs of AA batteries can be had for less than $20. That is the same as D&amp;P on two rolls of film and gives me over 400 shots, I think that is a reasonable expense. Great pics + interesting but expensive setup. Can probably be done also at the price of one SB900 using 4 old SB20 ($100), 1 FourSquare block ($100), 1 optical Hama trigger ($20) and 1 Yongnuo sender/4 receiver at $100. Works up to 100 meter distance for me. Don't believe it? Details at my website, search for "high speed" there. Keep on, great vids! Scrub all that, it's the ambient light that makes these photos so good.. I would love to know his camera settings though..
Great video, this guy i really fearless to get so close next to the track. @lee, you can split the pocketwizard output port. Yes you can use high speed sync with alien bees. It requires using a RadioPopper PX mounted on a flash or IR trigger (ST-E2) set to high speed sync and a RP JrX on the alien bee. There are lots of examples online of shutter speeds up to 1/8000th. There are power things to work out and testing required to get the strobe to blast as much light as possible for such a short shutter opening, but its completely doable. Way cheaper, way less complex, and way less setup time than 8 flashes plus a bajillion AA batteries. Not to mention that the recharge would be faster at higher light outputs, a big battery would last longer, and you wouldn't have a ton of tape and fiber optics weirdness to setup. Just had a search and found that Dave Black gave a talk for Nikon at Photokina on using speedlights (+ other topics). So yeah - 8 speedlights may not be the most economical way if buying them - but I think he probably borrowed them for free. I love seeing stuff like this. Old dudes out spending big loot on tons of flashes to do the most simple shots. I'm not talking about Joe McNally 'got a speedlight in every corner" stuff, but these mega-grouping of battery-powered strobe units. Here's an idea - go buy an AB mono-light and a Vagabond. You just got the same shot, and saved yourself about $3200, dummy.